Now available in oversized in colours Pacific/Silver, Steel Grey/Silver and Black/Silver. 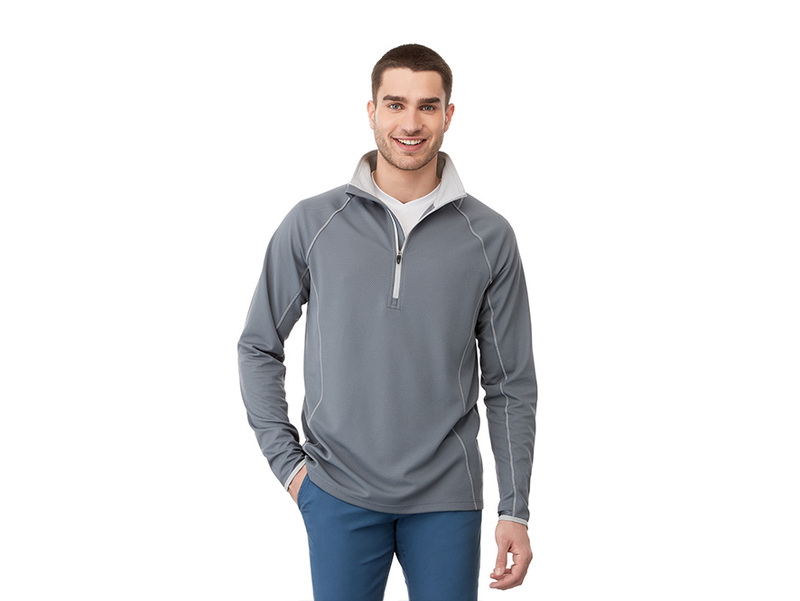 Part of the award-winning ONE Collection, the next ONE garment is the Knew Knit Half Zip. The Knew ONE breaks boundaries with its superior styling and advanced fabrication. It is made with a textured basket weave fabric in five amazing colours with inner accent colours and contrast stitching. The Knew ONE is a performance piece that features Webtech properties with a wicking finish to help you stay dry and feel comfortable. Its retail silhouette and trendy styling creates a canvas ready for your brand to be decorated in our most innovative techniques. CONTRAST:: 100% Micro polyester interlock knit with wicking finish.